The Friday Five: May 4, 2018 — Stay Cool, Mom. Boy oh boy. Things are really slowing down around here. And by things, I mean me and my big ole belly. Luckily, I’ve got some things forcing me out of bed this weekend. How about... Take a minute and check out what our culture is doing?! 2. And more reads... Musician and cool person Lucy Dacus (loved this Tiny Desk Concert) shares her summer reading list. It includes a few of my faves. If you haven’t spent time with these two, hurry up, mom!!!! Hilarious and vulnerable short stories, buy here. Great love story with lots of social and political commentary, buy here. Another mention is Dune, by Frank Herbert. My husband loved this book and it’s on my list, especially since it was a major subject in my favorite cancelled HBO show, Togetherness (don’t waste any time and start binge-watching pronto). 3. Another fave show, this time making headlines... The Crown’s Claire Foy, who was paid less than co-“star” Matt Smith for her leading role in the show, gets $274,000 of backpay to even things out a little. Oh and Mark Walhberg is currently the highest paid actor right now. For real. So, I don’t get anything. 4. And the confusion continues in Kanye vs. The People. His recent tweets (#slaverywasachoice, selfie with MAGA hat) and new releases (featuring repeated “poopety-scoop” lyrics) are mighty strange but, in typical “Yeezy” fashion, have the world wondering if we’re the dumb ones. Questlove’s convinced there’s some kinda clever plan. Roxane Gay’s not having any of it. 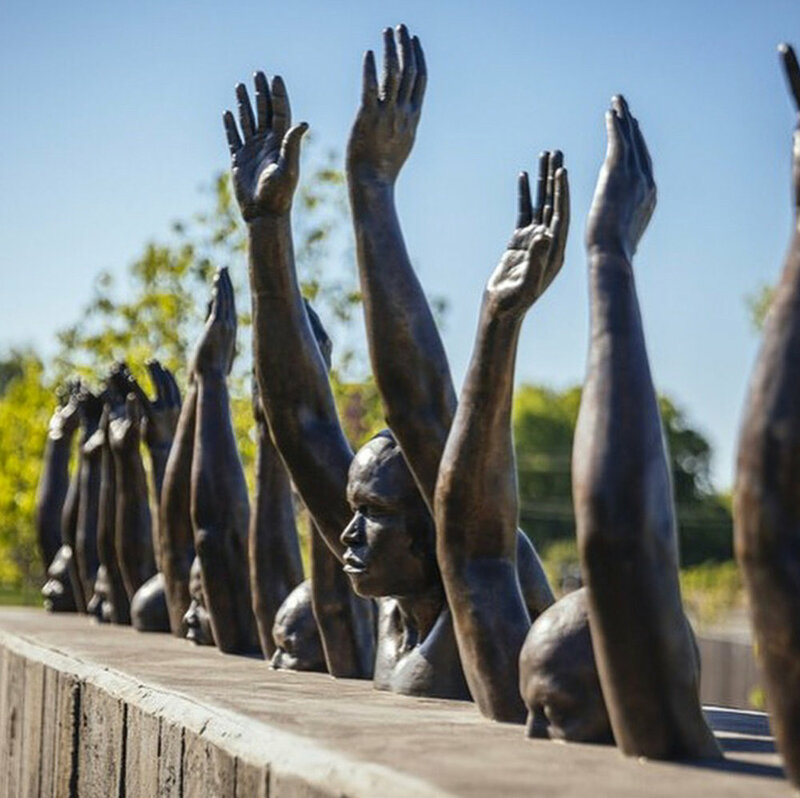 It also features sculptures and installations by Black artists that address issues like segregation, slavery, and mass incarceration. Read more here. And if you haven’t seen Colin Kaepernick’s acceptance speech for Amnesty International’s Ambassador of Conscience award, it’s on point and worth the 8 min. Keep fighting the good fight, mom! Have a great weekend!